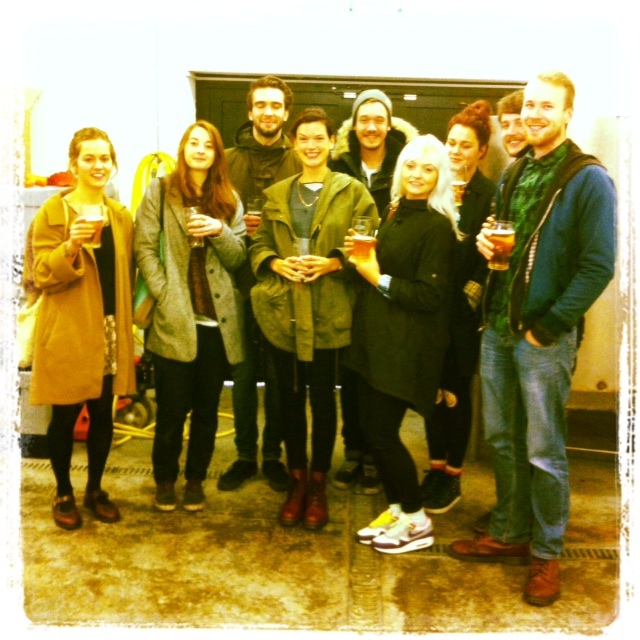 On Monday 21st October, the Sir Garnet team visited Lacons Brewery in Great Yarmouth. Two things you should know is 1.) It was the first time I visited this coastal town and 2.) I completely misinterpreted the meaning of ‘Pleasure Beach’. Those things in mind, I was quietly excited about the trip. However, when it came to the day, some bad omens materialised. These came in the form of a hand scalded with molten coffee – think the ending of Mean Streets but less dramatically satisfying – and a swollen, grey sky. Although, all considered, we were in fairly good spirits and ready to get on with things. Convoying through the main street, it quickly became apparent that this was a once beautiful and vibrant place let down by a drought of industry and some unfortunate endorsements from Jim Davidson – if you’re going to have a spokesperson for your town, I think we can all agree that he’s a poor choice. In the drizzle, the amusement arcades looked like bad jokes, all flashing lights and empty interiors. I wondered how a rebooted brewery like Lacons would fit in. Entering the courtyard, you could see all the time and care that has been invested at rejuvenating the Lacons name. It was slick, but subtle and aesthetically in keeping with the heritage of the brand. 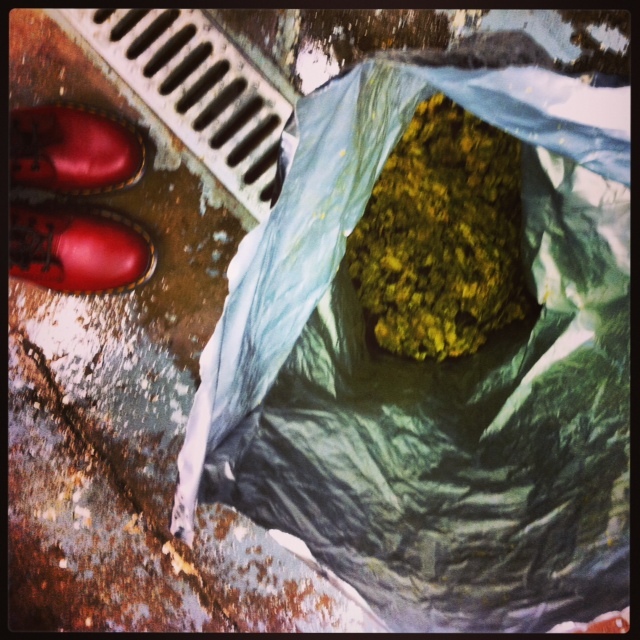 Apart from the intense smell of malt – to be expected but the scent did evoke an early memory of spilling hot Horlicks over my Dad’s freshly washed work shirts – it was a promising first impression. 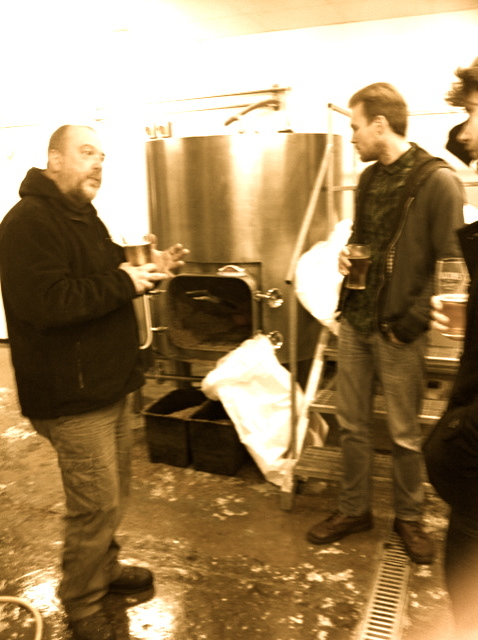 Head brewer Will Wood then escorted us onto the brewery floor. It didn’t help that Wood shares his initials with Breaking Bad’s protagonist but the place looked shockingly similar to Walter White’s lab. While there was nothing nearly as sinister as crystal meth production happening, it was every bit as scientific, precise and impressive. To round the trip off, we had a quick peruse through a mini museum. 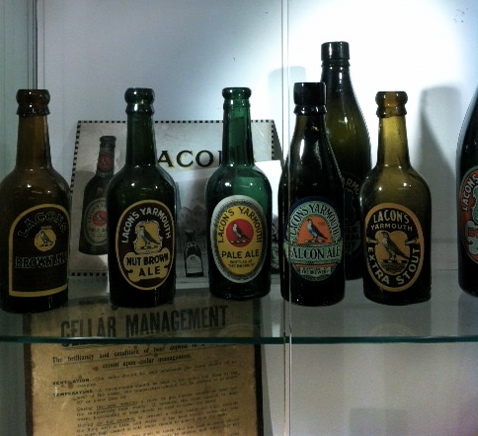 It displayed retro branded bottles, original brewing equipment, timeline posters and an assortment of period rarities. Again, what it highlighted was the love and enthusiasm that has gone into revitalising the Lacons brand. The beer is right; the branding is right and most importantly the people are right. As gushing and romantic as it sounds, the re-opening of Lacons brewery feels like a beacon of hope in Great Yarmouth and a possible kick-starter for an industry in a place where it seemed long departed. The visitors centre for Lacons is open every Wednesday and Thursday. To learn more about Lacons visit the site here.